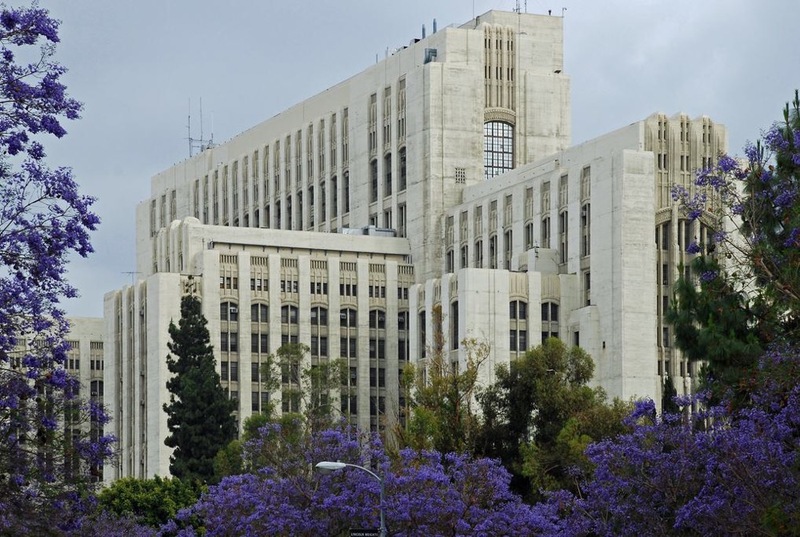 The Los Angeles County Board of Supervisors approved a motion this week to study the feasibility of reusing the county’s abandoned General Hospital for affordable, low-income, and mixed-use housing. The motion was authored by Supervisor Hilda L. Solis as part an initiative that aims to establish a “Healthy Village” in and around the University of Southern California medical campus that surrounds the defunct hospital. The approved motion authorizes the County to lead a detailed feasibility study and to craft a strategic plan with relevant parties to bring the initiative to life. As the “birthplace of emergency medicine,” the Art Deco–style Los Angeles County General Hospital was considered a state-of-the-art institution at the time of its opening in 1933. The 800-bed teaching hospital played a vital role in the community and earned the affectionate nickname “Great Stone Mother,” an allusion to the building’s cascading concrete hospital wings. The New Deal–era structure was built amid the Great Depression and was designed by the Allied Architects’ Association of Los Angeles, a consortium of local architects that took on various municipal projects across the region. The hospital facility is also notable for its relationship to the Chicano Movement of the 1970s and to the community organizing that occurred in response to the HIV/AIDS crisis in the 1980s and 1990s, according to the Los Angeles Conservancy. The exterior of the complex is also notable for its appearance in the opening credits of the television show General Hospital. The facility was replaced after the 1994 Northridge Earthquake following the passage of updated structural codes that were passed in response to the disaster. It was replaced by an HOK-designed facility that opened in 2008. The General Hospital is joined by Charity Hospital in New Orleans as one of two major abandoned Art Deco–style hospitals in the United States. In a press release, Supervisor Solis said, “We must be innovative and audacious if we want to end the homelessness crisis and simultaneously increase affordable housing in the region.” Solis added, “Today’s action to transform the abandoned General Hospital into a marquee facility will not only breathe new life into this historic building, but it will also help our most vulnerable residents regain control of their lives. When I look at this iconic structure, I see much more than an architectural gem: I envision a thriving community facility proactively helping people suffering from homelessness and other disadvantages get back on their feet.” According to the approved motion, the completed report and feasibility study will be due back to the Board of Supervisors by fall 2019. A pair of particularly destructive wildfires that burned through the weekend in California have claimed over 7,000 structures and caused a wave of displacement across the state. The San Francisco Chronicle reported that the so-called Camp Fire grew to more than 105,000 acres over the weekend as it swept through Butte County in Northern California, devastating the town of Paradise. The fire quickly became the deadliest and largest wildfire in California history over the weekend, a record that has been broken every year for the last three years in a row. The blaze has so far claimed 6,713 structures, including 6,453 homes and 260 commercial buildings. It is expected that close to 15,000 other structures are threatened by the fire, which is currently 20 percent contained. So far, 31 people have died and over 100 are reported missing. Reports from the frontlines of the blaze indicate that much of the town has been destroyed, with journalists on the scene fielding calls to check in on particular properties and posting block-by-block surveys of the devastation on social media. It is expected that between 90 and 95 percent of the city was destroyed, leaving its 27,000 residents to seek shelter across the housing-strapped region. In the Santa Monica mountains that ring Los Angeles, the 85,550-acre Woolsey Fire has forced the temporary displacement of over 250,000 people as the cities of Thousand Oaks and Malibu and surrounding mountain communities were evacuated in advance of the fast-moving blaze. Curbed reported that the fires have threatened several historic Hollywood filming locations and other notable structures located in the scenic mountains, including a replica of the set from the television series M*A*S*H and the recently-restored historic Sepulveda Adobe complex. Distressingly, the fire also reportedly consumed the Santa Susana Field Laboratory, a former Rocketdyne laboratory from 1949 that housed experimental nuclear reactors as well as radioactive waste. Many architecturally-significant structures are also at risk, including important works by Frank Gehry, Wallace Neff, John Lautner, as well as several of the Case Study homes, Curbed reported. Several of the wealthy areas hit by the fire have seen heavy losses, as well, including the destruction of several celebrity-owned mansions in Calabasas and Malibu. The homes of pop stars Miley Cyrus, Robin Thicke, and Neil Young and others were destroyed by the inferno, E! Online reported. The Los Angeles Times reported that the Woolsey Fire is 15 percent contained. The fires touched off a series of antagonistic—and “ill-informed”—tweets from President Donald Trump, who erroneously blamed the fires on “gross mismanagement” of the state’s forests. 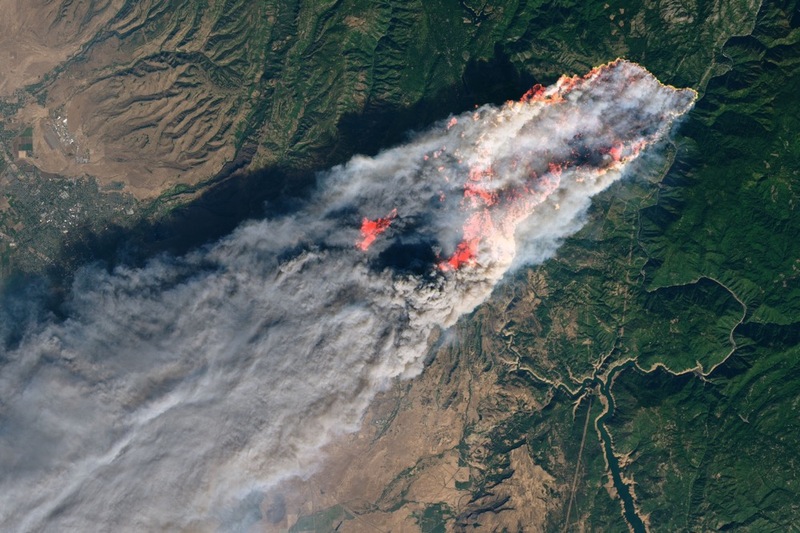 Fire officials instead point to the increasing effects of climate change, as well as growing so-called “wildland-urban interface” zones where human occupation and the state’s natural landscapes come into contact, as key causes for the latest series of conflagrations. Because the state’s populated urban areas have gradually slowed development and downsized population capacity over the decades, much of the state’s explosive population growth has largely occurred in increasingly-far-flung and precarious areas, where drought-ridden brush is easily combustible and sprawling communities are perfect targets for wind-swept flames. Crews in the state are working to battle the flames as winds, temperatures, and humidity levels work against their favor. AN will bring more coverage of California’s fires as information becomes available. 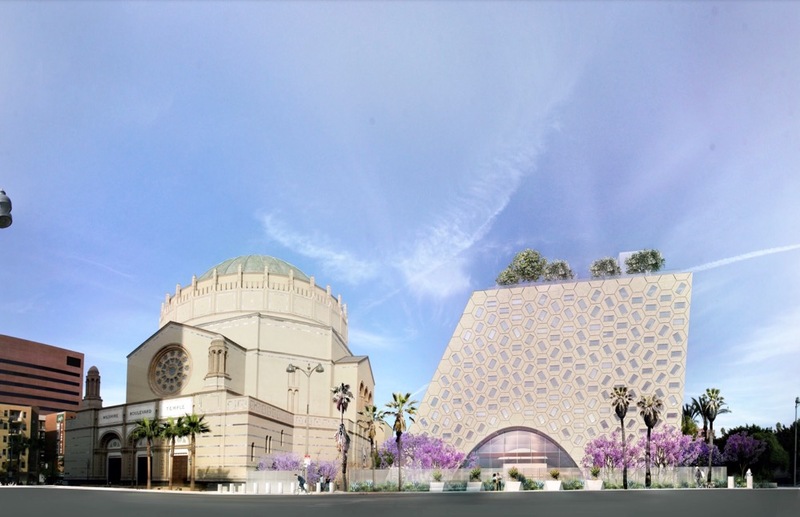 The Office of Metropolitan Architecture (OMA), Gruen Associates, and Studio-MLA are working toward a November 11 groundbreaking for the new Audrey Irmas Pavilion, an addition to the historic Wilshire Boulevard Temple in Los Angeles. Ahead of this weekend’s groundbreaking ceremony, OMA has unveiled a batch of new renderings of the 55,000-square-foot cultural center. The two-story, trapezoidal pavilion will contain two large event spaces within its sloped walls, including a rooftop terrace designed by Studio-MLA. The main gathering space along the ground floor will be elliptical in nature and will provide arched openings along two of the principal facades. The second space will run perpendicular to the ground floor space and will be outlined as a trapezoid along the opposing set of exterior walls. The terrace will stream daylight through the pavilion via a circular opening. 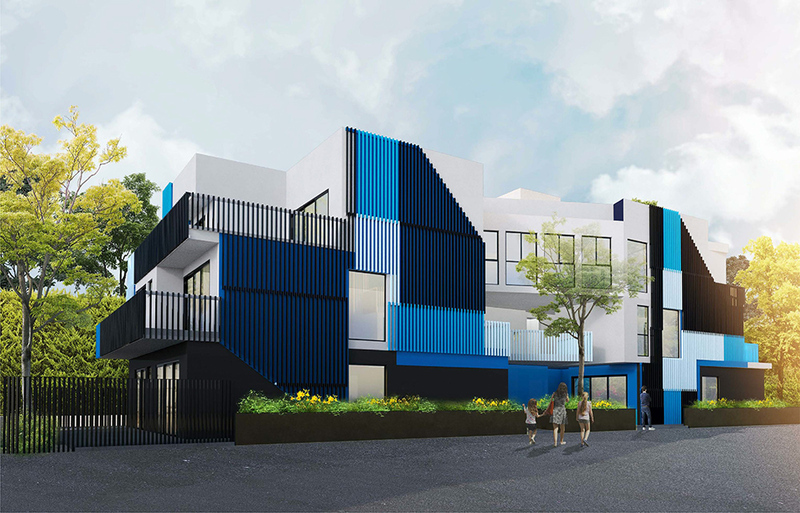 The addition will allow the temple to offer supportive services for its congregants, including hot meal programs and medical clinics, Urbanize.LA reported. Renderings for the project depict a singular volume skinned with hexagonal stone cladding, with each of the stone tiles containing a rectangular glass block at its center. Gruen Associates is working as the executive architect for the project, which was designed by OMA partners Shohei Shigematsu and Rem Koolhaas. In a press release announcing the groundbreaking, Shigematsu said, “Focusing on communicating the energy of gathering and exchange, the pavilion is an active gesture, shaped by respectful moves away from the surrounding historic buildings, reaching out onto Wilshire Boulevard to create a new presence.” Shigematsu added, “We are thrilled to break ground on this significant project that will provide a new anchor for the Wilshire Boulevard Temple and the broader Los Angeles community.” The project represents OMA’s first cultural commission in the region and will join the firm’s forthcoming First and Broadway Park—also designed in collaboration with Studio-MLA—in Downtown Los Angeles and The Plaza, a mixed-use shopping complex slated for Santa Monica, as other works under development nearby. Plans call for the Audrey Irmas Pavilion to be completed by 2020. If you are one of the many people concerned that apartments in American cities are all starting to look too much alike, there might be hope for you yet. Los Angeles–based artist and educator Elena Manferdini of Atelier Manferdini is currently working on a collection of glitchy apartment facades that aim to break up the monotony of some of those developments. With her designs, Manferdini is hoping to "re-open a discussion on the role of fantasy in art and architecture" by bringing beguiling geometric patterns and bright colors to at least seven multi-family complexes envisioned by FMB Development and a collection of other local architects, including Archeon Group, Dean Larkin Design, and Open Architects. Los Angeles–based FMB bills itself as a "community-oriented developer of luxury residential real estate," including the types of market-rate apartments that some Los Angeles homeowners might view as obtrusive in their neighborhoods. That's where Manferdini steps in by designing structures with interlocking blocks of patterned surfaces and expanses of varying opacity that work to simultaneously highlight and break down each of the proposed buildings. Manferdini explained that the designs are driven by the idea that, "facades are important for the city at large because they are inevitably the background of our public imagination." Manferdini added, "Facades negotiate how the privacy of human interactions come to terms with a surrounding cultural context." In L.A.'s densely-packed, low-slung urban neighborhoods, where privacy comes at a premium, sites are strictly limited in terms of height and allowable bulk, decorative elements help play a role in bridging the visual gap between existing housing stock and the types of multi-unit complexes needed to address the region's housing crisis. Manferdini's work for FMB builds on a series of exhibitions she crafted as part of her artistic practice, including the Graham Foundation–supported Building the Picture, a collection of drawing-photograph hybrid images that were exhibited at the Art Institute of Chicago in 2015. For the exhibition, Manferdini created a series of fictional patterned facades partially inspired by some of the Chicago-based work of Mies van der Rohe. The layered, abstracted images proposed methods for obfuscating the underlying scale and window patterning of the hypothetical apartment structures by combining oblique and projected patterns on a collection of planar and faceted building forms. Manferdini explained further, saying, "The work insinuates that surfaces now have an unprecedented ability to be embedded simultaneously with optical affect and cultural associations," a concept that is ideally suited for testing in the real world through its application on the apartment buildings in question, according to the artist. At 1017 Sierra Bonita, for example, Manferdini uses blue, white, and black Trespa panels, custom fritted glass, and gray stucco to lend a three-story apartment block atmospheric qualities. Hanging plants and balconies filled with hedges and landscape design by Green Republic Landscapes further dematerialize the five-unit building. The Trespa panels make another appearance in red, blue, and black at 1408 Poinsettia, where Manferdini has arranged ascending striped patterns with vertical building elements that camouflage each of the three-bedroom small-lot subdivision homes. At 1139 N. Detroit, Manferdini pursues a more subdued approach by using custom-designed mosaic tiles and painted stucco. In each of the projects, Manferdini works to play off of the architectural elements using unconventional patterning and color choices, perhaps a welcome approach for Hardie-panel weary observers. The designs are due to come online soon: Many of the projects are currently undergoing planning review, and 1408 Poinsettia is currently under construction. As the contentious U.S. midterm elections taking place on Tuesday, November 6, fast approach amid numerous accusations of voter suppression and disenfranchisement often along lines of race and class, at least one city is proactively making it easier to vote. 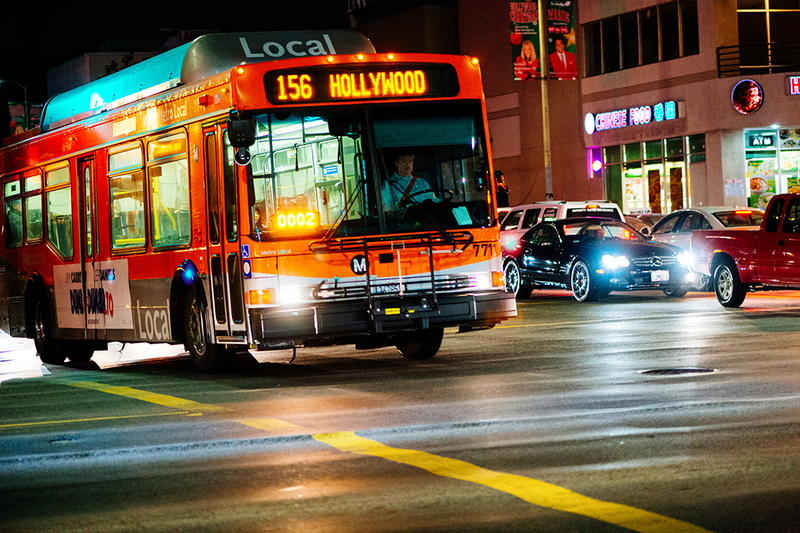 The Los Angeles County Metropolitan Transit Authority has just approved free public transit on election day to help encourage people to turn out to the polls. This is especially important in California, which has a number of ballot initiatives impacting housing and the environment. Ballot initiatives in California this November include Proposition 1, which would expand resources for veteran housing; Proposition 2, which would implement a 1 percent millionaire’s tax to help support mental health services, housing initiatives, and other resources for homeless people; Proposition 3 which would authorize nearly $9 billion in bonds for spending on water infrastructure and other environmental initiatives; and Proposition 10 which would allow local governments to implement rent control. The decision to expand voter accessibility in Los Angeles comes at a time where various forms of voter suppression and disenfranchisement are being brought to light across the country, including the intentional disenfranchisement of certain people who have served jail time, voter roll purges in states like Georgia, and gerrymandering districts to turn them red, such as in North Carolina’s 13th district. Some sources have also spread misinformation on the day the elections take place, such as in Suffolk County, New York, where a mailer from Republican incumbent Rep. Lee Zeldin featured the wrong deadline for absentee ballots (it’s November 5). Voter ID laws in many states have been accused of preventing lower income and minority voters from being able to enact their right to vote. In North Dakota new ID and residence rules, upheld by the Supreme Court, have been argued to be systematically targeting Native Americans. Relocating where people go to vote is another method that has been accused of attempting to prevent voter turnout. The ACLU has been brought a federal lawsuit over the choice to move a polling station for Dodge City, Kansas, whose population is majority Latinx, to a difficult-to-access location outside of the city limits. Similar moves to make voting hard to access, especially for people without flexible work schedules or easy transportation access, have been seen across the country, particularly in areas that have larger populations of people of color, as well as urban centers that tend to be more diverse and liberal-leaning. Los Angeles's announcement came as New York's Citibike announced that their bikes would be free to use for all on election day. Motivate, Citibike's parent company has announced that services in the Bay Area, Boston, Chicago, Columbus, Jersey City, Portland, Minneapolis, and Washington D.C. would all be free on November 6 as well. A growing housing affordability crisis in cities across the country is spurring new community-based movements that work to protect the rights of tenants. A janitor named Socrates Guzman, with the help of the Boston-based grassroots organization City Life, successfully fought a major rent increase. He is now a local community organizer, committed to improving rent control laws in favor of existing leaseholders. Araceli Barrer, a housekeeper, worked with Colorado Homes for All to fight her own eviction and won. She is now trying to push a bill in the state legislature to allow tenants to withhold rent under certain conditions. In Chicago, the Autonomous Tenants Union defends and enforces the right to dignified housing through a group of core volunteers. 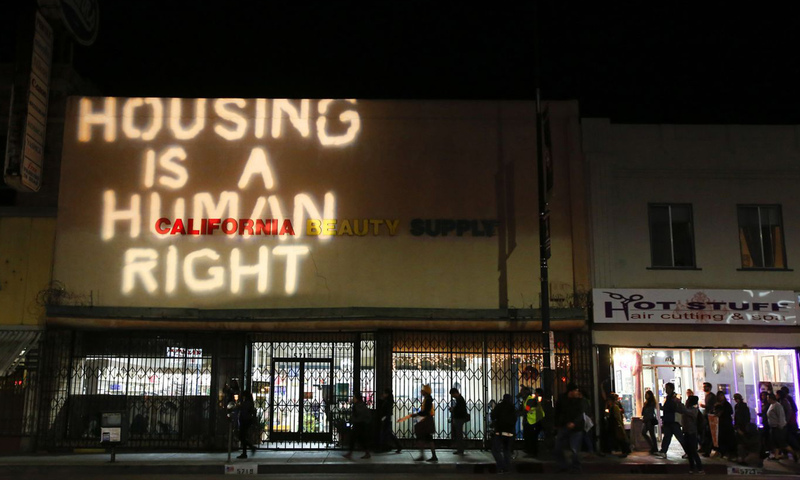 They seek to "end all evictions" and fight for "community control of housing through the building of popular power.” In Los Angeles, tenant advocates forced a housing initiative to be placed on the November ballot that would allow for the expansion of current rent control laws. Others are not so patient. In one Central Los Angeles neighborhood, two hundred families in three separate buildings banded together and refused to pay rent until their demands are met. They decried stiff rent increases while they continued to live in the poorly maintained buildings. The Los Angeles Tenants Union, composed of volunteer organizers and a legal entity known as the Eviction Defense Network, assists the residents in their fight to win concessions from the landlord. In Colorado, the state legislature has even considered formalizing the rent strike process. Rent strikes, however, have had mixed results. In 2016, tenants in the Highland Park neighborhood of Los Angeles lost a court battle after a lengthy strike that resulted in mass evictions and redevelopment of the area. It’s also not easy to find new housing with an eviction on your record and petty landlords often make life painful by turning off the hot water and electricity. Developers argue that limiting the ability of landlords to charge market rents only leads to less housing being built and furthering the housing crisis. Some cities like San Fransisco, Los Angeles, and New York are providing free legal representation for tenants facing eviction. Cities have found that it is cheaper to offer free legal fees to tenants than to provide additional shelters for the newly homeless. As real estate prices continue to climb, Los Angeles’s notoriously slow and combative building approval process shows no signs of letting up. 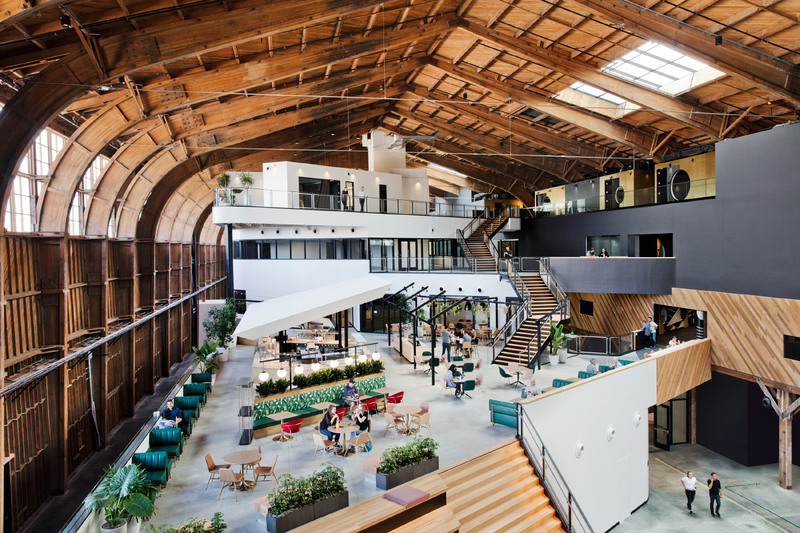 In response, a growing set of L.A.-area architects have begun to embrace the idea of developing their own projects in-house as a way of taking charge of—and ultimately, profiting from—the production of architecture. L.A. and New York City-based FreelandBuck, for example, recently completed work on a 2,200-square-foot speculative house in L.A.’s Mount Washington neighborhood. FreelandBuck partnered with L.A.-based developer Urbanite Homes for the hillside project, which contains a rental income–producing Accessory Dwelling Unit to make the hefty price point more palatable to potential buyers. According to the architects, the development partnership provided some wiggle room on the design that might not have been possible had they been hired as conventional designers. As a result, the architects were able to take risks with materiality by wrapping the four-story building in decontextualized board-and-batten siding. 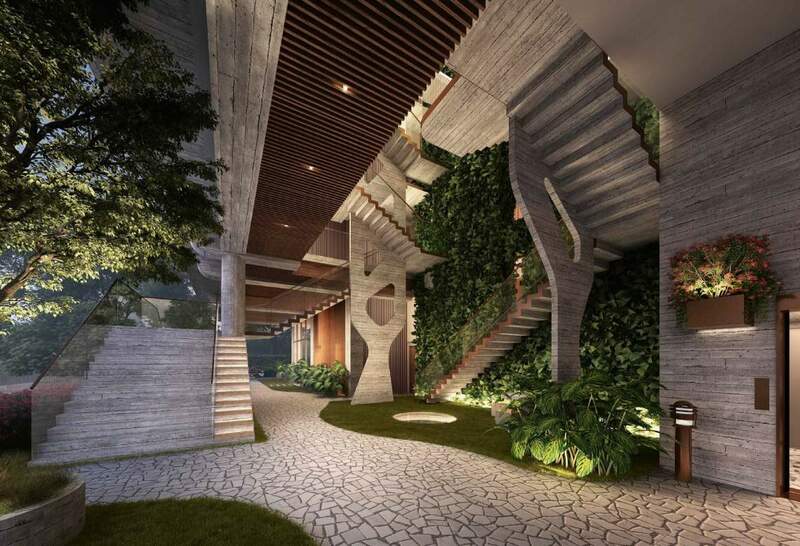 The freedom extended to the interiors of the home as well, where the ground floor areas are carved up into a series of discrete and complimentary rooms. This envelope-pushing effort is mirrored nearby in the hills above Highland Park, where John Southern, principal at Urban Operations, has developed a handful of speculative single-family homes that encapsulate the architect’s form-forward design aesthetic. A 2,400-square-foot residence at 4752 Baltimore is designed around staggered floor plates in order to maximize outdoor space on the tight hillside lot. The downslope-facing house skews in elevation to best align with the site’s winning views, which are matched by large format skylights. The architect-led development not only yields a more formally interesting home, but also creates opportunities for the designer to imbue what would normally be a hurried, one-size-fits-all commission with lightness, generously proportioned rooms, and interlocking spaces. Workplays Studio* Architecture, on the other hand, wears the hybrid architect-developer hat in order to create a live/work unit that acts as “an experiment in living on commercial corridors.” For their Pico Live/Work project, the architects added a single-family residence above an existing storefront. By linking the two levels with a courtyard entry and positioning a street-facing workshop in opposition to the home, the project approaches an alternative to conventional mixed-use development as it is normally practiced in the region. Not only that, but the design is developed at a project scale modest enough to be undertaken by a small team, a far cry from the anonymous, big-block developments that have drawn so much community ire in recent years. WHO IS BEYOND THE LAW? WHO IS BOUGHT AND SOLD? WHO IS FREE TO CHOOSE? WHO DOES TIME? WHO FOLLOWS ORDERS? WHO SALUTES LONGEST? WHO PRAYS LOUDEST? WHO DIES FIRST? WHO LAUGHS LAST? The mural represents the inaugural effort of MOCA’s new director Klaus Biesenbach, who was appointed earlier this year after the previous director Philippe Vergne stepped down. 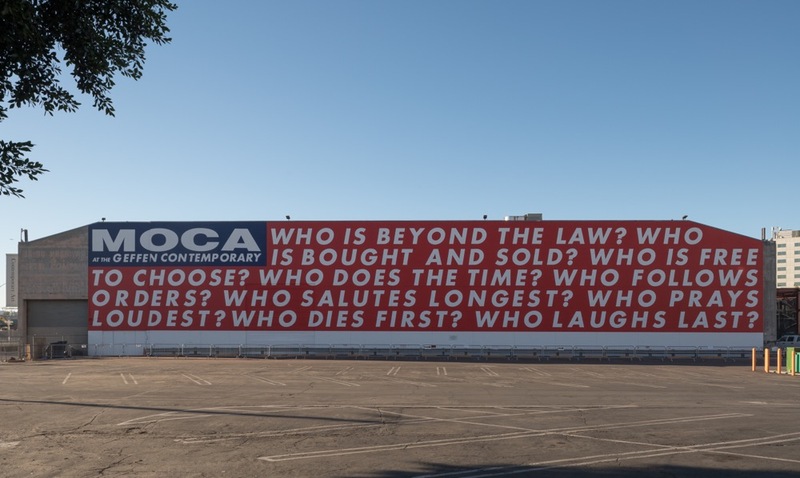 Untitled (Questions) will be on view through the 2020 presidential election. Over 30 years after it was initially planned, the Los Angeles Metropolitan Transportation Authority (Metro) has started tunneling the final phases of the Purple Line subway. According to Metro, when completed in 2026, it will be possible to take a one-seat underground ride from Union Station in Downtown Los Angeles to Westwood—an area home to the University of California, Los Angeles campus, the Veterans Administration complex, and other major institutions—in roughly 25 minutes. For comparison, today the trip takes nearly an hour and a half by car or bus. Though its completion is many years away, the pending extension has begun to impact adjacent areas as rezoning efforts get underway in anticipation of the route. The pending Purple Line Transit Neighborhood Plan, for example, will modestly boost densities between the three adjacent stations surrounding the Los Angeles County Museum of Art (LACMA) campus. As proposed, upper height limits in the densest areas could reach 70-feet, ten feet higher than currently allowed. The prospect of taller buildings on and around Wilshire Boulevard is not a far-off vision, however. The 18-story Vision on Wilshire project by Steinberg Hart and developers UDR, for example, wrapped up construction this summer. The pixelated tower comes with 150 units and joins other new apartment towers recently completed along the corridor. Nearby, a new glass-wrapped tower by MVE + Partners and developers J.H. Snider is slated for a site adjacent to the LACMA campus, and will bring 285 apartments and 250,000 square feet of offices just steps from the transit line. Another project on the boards is a two-tower condominium development slated to join the historic Minoru Yamasaki-designed Plaza Hotel in Century City. Here, Pei, Cobb, Freed & Partners, Gensler, Marmol Radzinger, and RCH Studios will add 290 luxury condominiums behind the historic hotel on a site that will host a new stop on the extension. The project is currently under construction. Not everyone is happy about the coming transit line, however, especially in Beverly Hills, which will see a new subway stop at Wilshire and Rodeo Drive. The City of Beverly Hills has been engaged in a years-long struggle to block the subway from running below its streets. Most recently, the Beverly Hills Unified School District orchestrated what it called a student “walk out” against the proposed metro line. The demonstration occurred last week and was aimed at trying to get the attention of President Trump, who is himself a Beverly Hills homeowner. According to The Los Angeles Times, students carried signs calling on the president to move the subway route, which is currently slated to run underneath Beverly Hills High School and other sites in the city, away from delicate areas. The students also sought to have the president take the unprecedented step of revoking the $1.5 billion in federal funds and low-cost loans awarded to the transformative project. There’s no word from the president yet, but Metro cranked up its two new tunneling machines Monday to begin digging the next leg of the extension nonetheless. It’s expected the tunneling machines will advance roughly 60 feet per day from La Brea Avenue and Wilshire toward the current Purple Line terminus at Western Avenue. After the tunnel there is excavated, the machines will be driven back to La Brea and begin the work of completing the final leg of the line. Phase one of the expansion is slated to open in 2023 with the second phase due to arrive in 2025 and final completion expected by 2026, just in time for the 2028 Olympic Games.